Why would I need self storage in East Palo Alto, CA? There are a variety of reasons why you might need self-storage in East Palo Alto, CA. How much is a storage unit in East Palo Alto, CA? The cheapest storage unit in East Palo Alto, CA is $49.00 per month. What size storage units do you have available in East Palo Alto, CA? In East Palo Alto, CA we have sizes that range from 5'x5' to 10'x30' to suit your storage needs. How much is it for a 5'x5' storage unit in East Palo Alto, CA? The cheapest 5'x5' storage unit in East Palo Alto, CA is $60.00 per month. 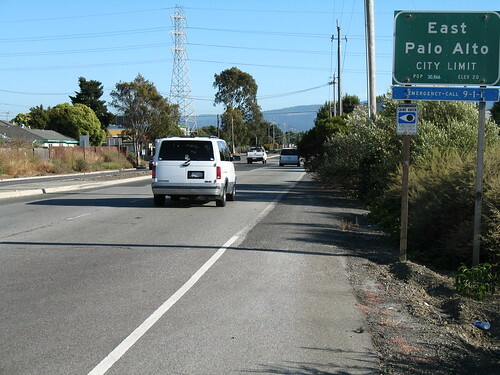 East Palo Alto is a small city in the San Francisco metropolitan area, and it sits at the halfway point between San Francisco and San Jose. In recent years, the city has seen a population growth, thanks to residents who work in the nearby high-tech businesses of Palo Alto. It's evolved into a diverse, bustling community with ongoing revitalization efforts. The earliest residents of the area that's now East Palo Alto were the Ohlone Native Americans, who mainly used the area as a burial ground and camp. Between 1850 and 1940, the area changed hands many times over. First, Isaiah Woods tried to establish it as a major shipping town. Then, the land was passed to a man named Lester Cooley, who constructed a brick factory. When that failed to become successful, the East Palo Alto area reverted to a small farming community. During World War I, the U.S. government utilized East Palo Alto as a major military training ground, which changed the demographics of the area. The town attracted an increasingly diverse population and earned official incorporation in 1987. Because the city has undergone extensive growth and rejuvenation, you'll find a large number of amenities and attractions to enjoy. East Palo Alto provides scenic landscapes, a Children's Discovery Museum, playgrounds, parks and shopping areas. Water sports are not far away on the bay, and the town has an extended hiking and biking path. The San Francisco Bay Area is known all over the world for its ethnic and social diversity, its vibrant arts and culture scene, and its cuisine. Just a short drive from the city, you can enjoy Marin County wineries and Muir Woods. The cost of living in the Bay Area is twice the average for the rest of the country, but suburbs like East Palo Alto are slightly more affordable. Three public school districts – the Ravenswood City Elementary School District, San Mateo County Office of Education School District and Sequoia Union High School District – serve East Palo Alto. There's a small number of private schools in the city as well. Although there are no postsecondary institutions in the city, there are plenty of options just a short drive away. Stanford University, Canada College and Foothill College are just a few of your options. Utilities: The city and Pacific Gas & Electric manage the majority of public utilities in the area. Garbage and Recycling: The city provides curbside collection of trash and recyclables. Transportation: SamTrans facilitates a large network of bus routes in East Palo Alto, making it convenient to access most major points in the city. You can also utilize the Dumbarton Express to access the larger East Bay area. Like much of the Bay Area, East Palo Alto has extremely high home prices. The median home and rent prices are significantly higher than the national average. However, you'll find a large variety of options, ranging from single-family homes to compact studio apartments. Our lowest priced units in East Palo Alto, CA average $60.00 per month. 116 people have reserved units in East Palo Alto, CA in the past 30 days. There are 3 locations within East Palo Alto, CA's city limits.